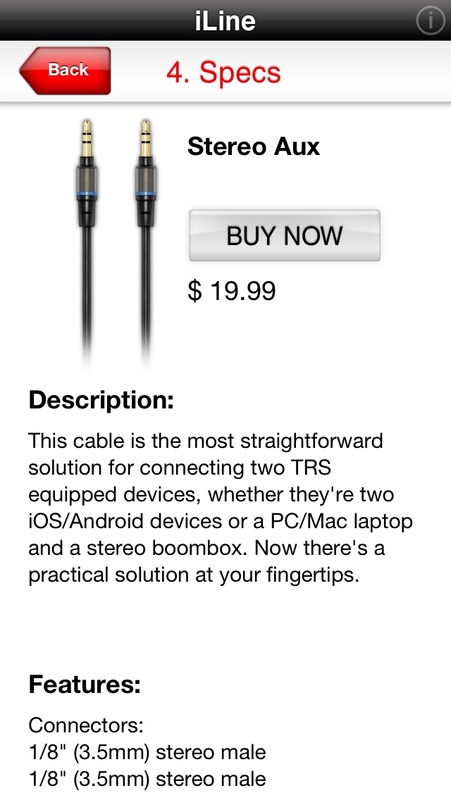 iLine is a new app made exclusively to help you find the best and most straightforward way to connect your audio/video and mobile devices using the cables in the IK Multimedia iLine Mobile Music Cable Kit. 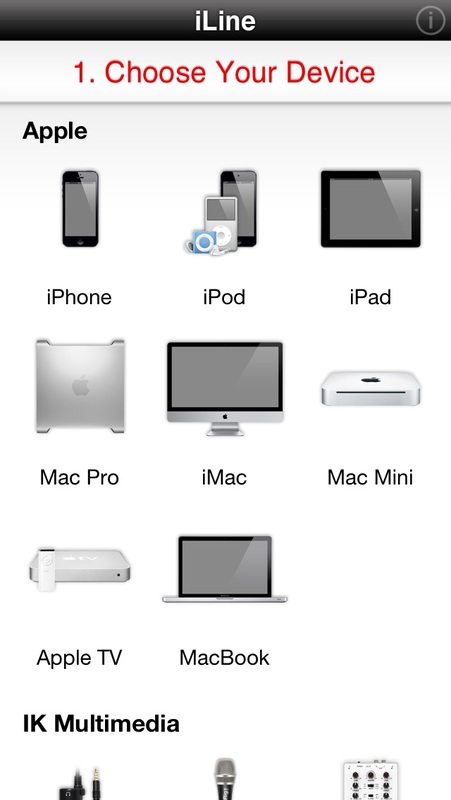 All it takes is three easy steps: choose your device from a list of Apple, IK Multimedia and other popular devices; select the device you want to connect to, and the app will show you which iLine cable is the best one to use. 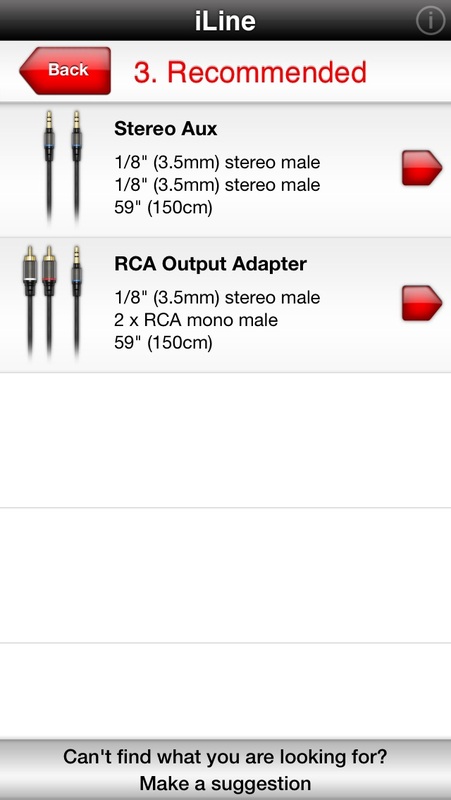 This cable set was designed to meet the needs of musicians, DJs, engineers or simply audio/video enthusiasts. It’s a real “Swiss Army Knife” that will come in handy in all those situations where "that special cable" would save the day, the session, or your moments of fun and enjoyment. iLine Cables are made with the best 24K gold-plated contacts and high-purity OFC copper conductors, to ensure a perfect and reliable connection with absolutely no loss of signal quality. The connector types were chosen to address those tricky cabling situations, and to allow for unusual hookups between devices. 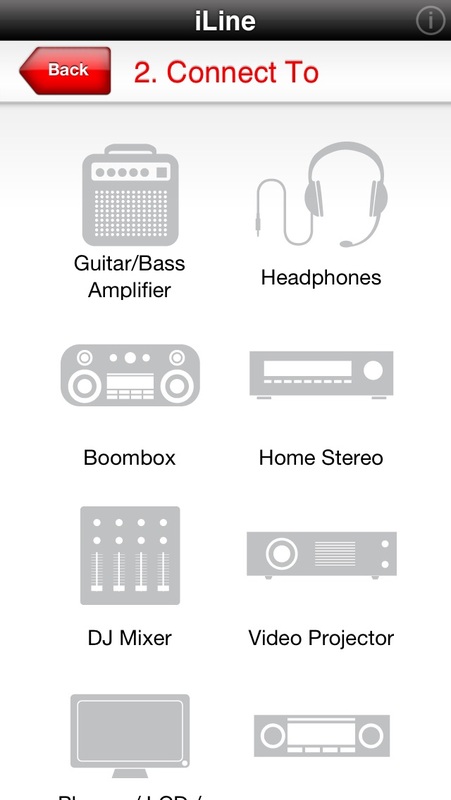 Connect an iPhone to a guitar amp, an iPad to a boombox or an iPod to your car stereo: you name it. 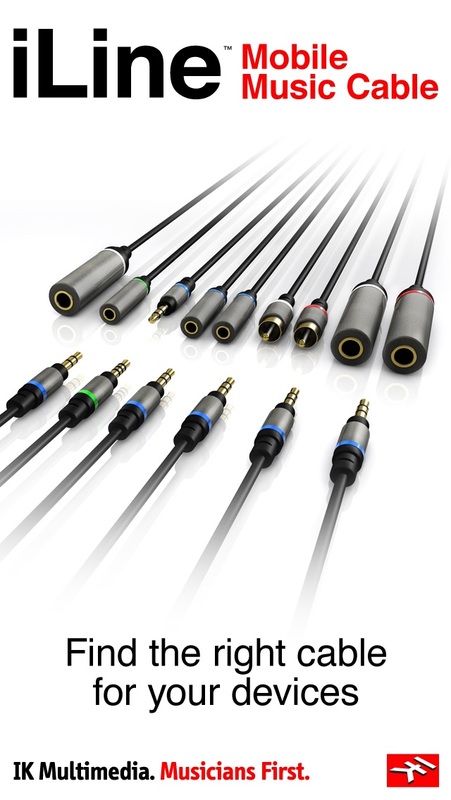 The IK Multimedia iLine Mobile Music Cable Kit has the right cables for connecting TRS/TRRS-equipped devices easily, reliably and fast.